STG Contracts strive to provide the complete maintenance service for commercial and domestic clients. Services ranging from, but not limited to, Property Management, Facilities Management, Fire/Flood/Storm damage, Private Works and Insurance Work. Our staff are professional, diligent, and have extensive experience in Maintenance Services. At STG Contracts we can provide you with an efficient and cost-effective building maintenance services. We’ll make sure your building is a safe and comfortable place to live in or work, which is compliant with all the current regulations. We have specialist tradesmen across every building discipline, and make it our business to appreciate and understand all aspects of property maintenance within the commercial and residential environment carrying out both reactive and planned maintenance. We offer professional, affordable building maintenance, refurbishment and facilities management services for the commercial and residential sectors. Our clients include everyone from large organisations and public bodies to domestic settings and small to medium-sized enterprises. Whatever your requirements and specifications are, we will strive to make sure we provide the most cost effective and efficient solutions possible. At STG Contracts we can provide you with efficient and cost-effective building maintenance services. We'll make sure your building is a safe and comfortable place to work, in compliance with all current legislation. We use only the most highly skilled tradesmen, from joiners and gas engineers to electricians, plumbers and plasterers. We will take on jobs of any size, from long term projects to the smallest task. Everything from domestic boiler services to fire and security fit-out for commercial properties. You can rely on our qualified professionals to arrive promptly to perform the job quickly and efficiently. We can supply a large range of trades to cover most building scenarios. Although we are involved in large construction contracts with large companies we are still very proud of our private work. We will shortly be showcasing this and other work in our Gallery. Please come back shortly to view some of the Private Work we have carried out recently. 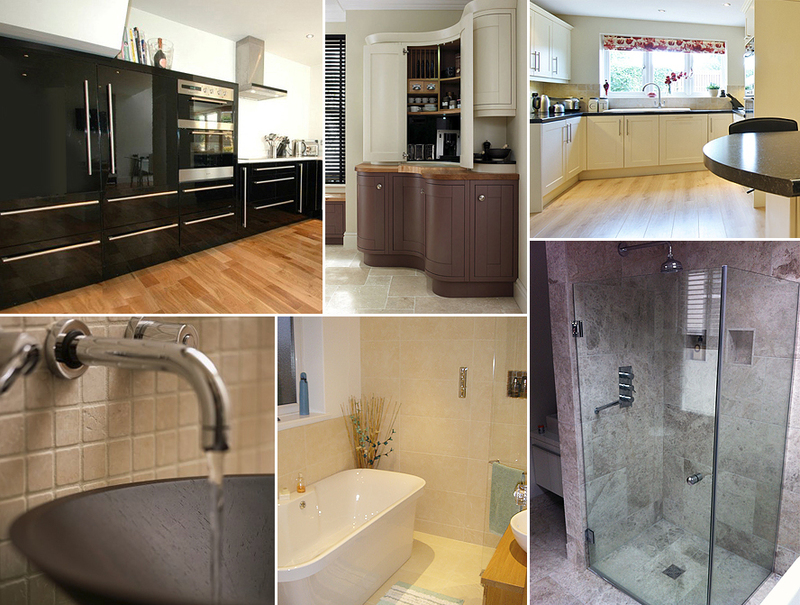 STG Contracts have assisted us with a number of projects of various sizes over the past few years. Throughout this time Stephen and his team have been extremely helpful. From the initial pricing & scoping stage, all the way through to completion, they are always willing and happy to assist. The STG team offer a wealth of knowledge and experience. Their specialist skills and willingness to please the client makes them an integral part of our supply chain. They are not only a hard working team, but they are honest and upfront, traits that are often rare in contractors and ones that allow us to continue to build a good working relationship. I would like to thank Stephen and all of his team for their hard work and continued support to us as a client. I am confident that with STG Contract's skills and good ethics, they will continue to be a popular choice for many clients. I will continue to use STG Contracts and I would certainly recommend them. Sanitary ware, showers, sinks and appliance’s, gutters and down pipes. We also carry out main drainage installation and hi-pressure jet blasting to free blocked drains. Re-wires, main board upgrade, sockets and lighting. We also can provide testing and landlord certificates. All our work complies with 16 edition regulations and carried out by approved “Select” electricians. Doors and windows, velux windows, kitchens and bathrooms, flooring, finishing’s, roughing, decking and fencing, fascia and soffits, silicon/sealant pointing. Ames taping, coving, wall coverings, paint work, fire coating. Ames taping, coving, wall coverings, paint work, fire coating. Dot and dab, bonding coat, finishing coat, cornice work. Surveys, new damp proof injection, basement treatment, base drains, pumps, dry rot, wet rot, condensation problems. Please complete our form on the right of screen and we will reply as soon as we can.within 3 days.